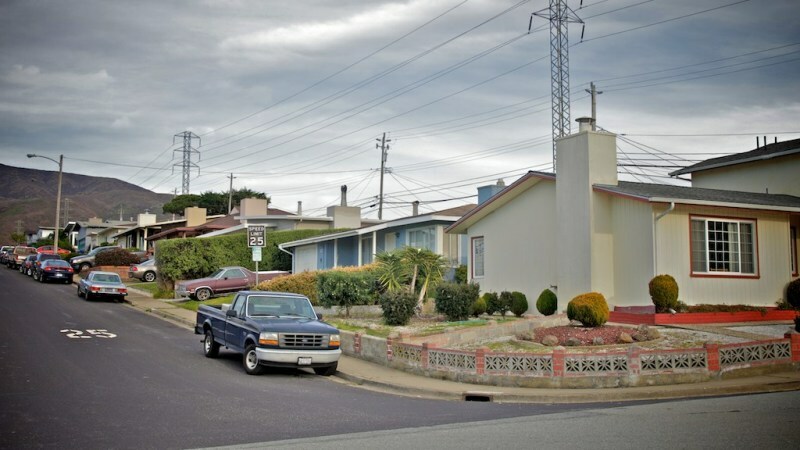 "People are Dying to Move Here"
Okay, so Colma is a necropolis—a “city of the dead.” Basically it is SF’s cemetery city. 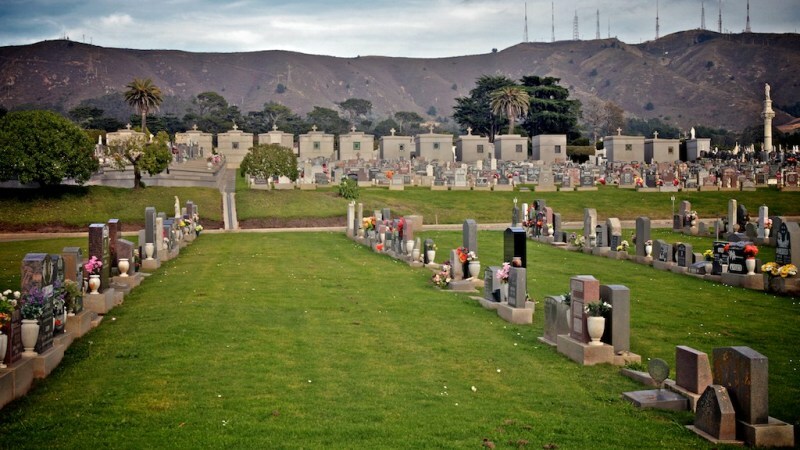 Property prices were just too high to make new cemeteries in SF, so Colma became a necropolis. 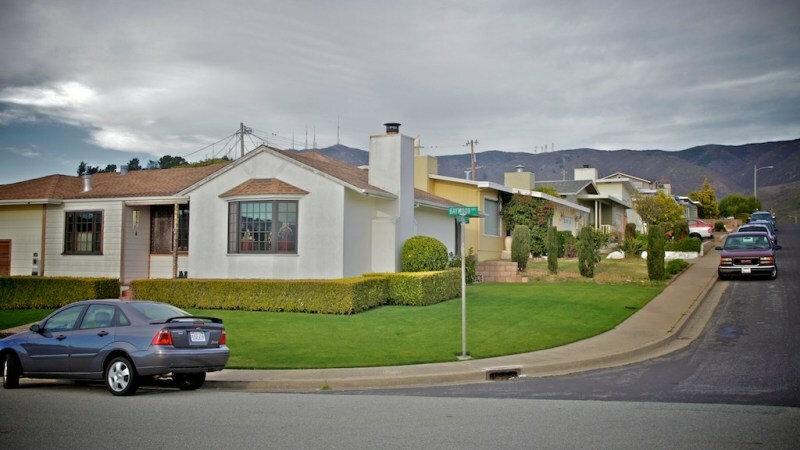 Colma is home to Cypress Lawn, Olivet, the Italian, Green Lawn, Hills of Eternity, Woodlawn, Homes of Peace and Holy Cross cemeteries to just name a few. 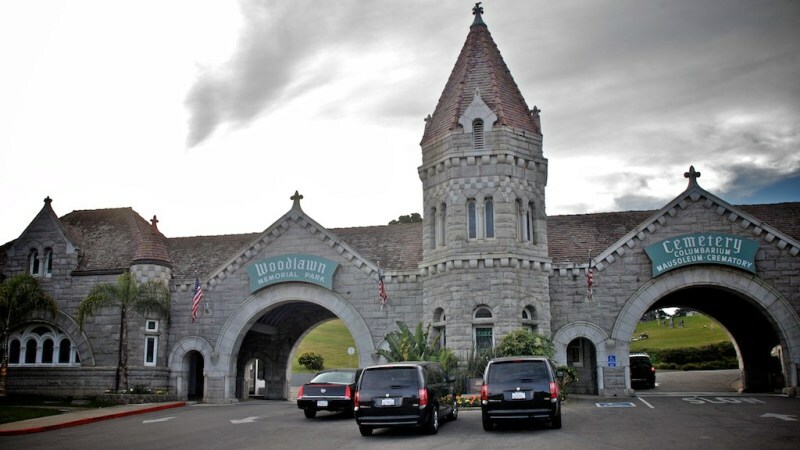 This where you’ll find the tombs of everyone from Sherriff Wyatt Earp to William “Rosebud” Randolph Hearst. Okay, so I know what you’re thinking, is there any night life in Colma? Actually, it turns out there is some pretty good shopping here. Right in the middle of all the cemeteries there is the Metro Center, a pretty standard shopping featuring everything from a Home Depot to a Marshall’s. (The Serramonte Shopping Center is just to the west.) So want to throw a killer wedding—come to David Bridal’s just to the north of the big fat Greek Orthodox Cemetery. Got the nibbles after burying gramp’s old bones? Grab a salad at Fresh Choice. Cemetery (that’s right, everything in Colma can be located according to what cemetery it borders). The homes are small, but attractive and the streets have these rectangular shapes that make them seem really inviting actually. 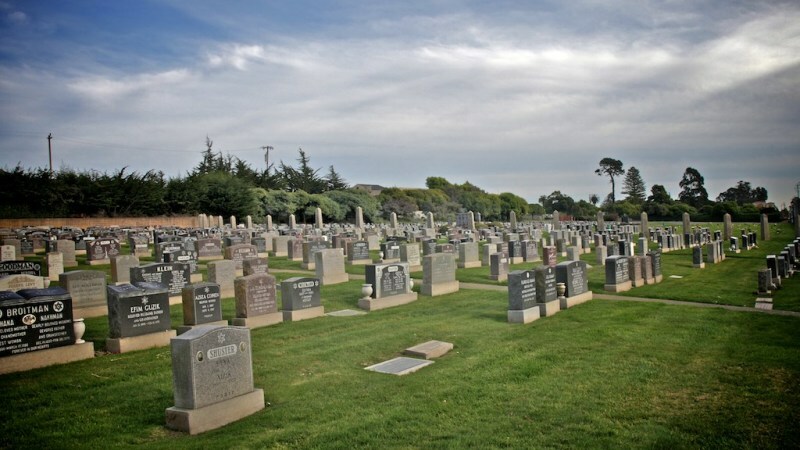 Overall, if you don’t mind being reminded of your mortality on an hourly basis, Colma is actually located in a great spot for getting into the city. And it is definitely restful and peaceful. 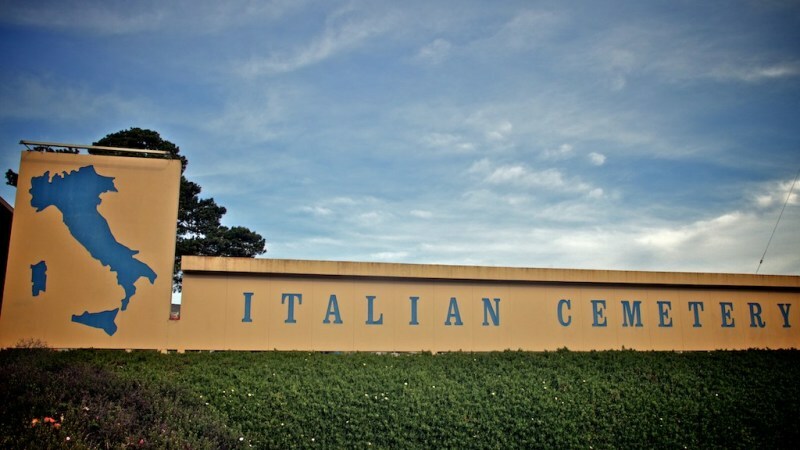 "The land of the dead"
Located along the San Francisco peninsula, Colma is probably best known for its 17 cemeteries and handful of dealerships. In fact, these parcels of land take up more than 2/3rds of the city. With little residential quarters, it’s no wonder that the town is populated with under 2,000 residents and maintains a kind of “small town” feel. 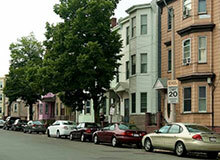 It’s only residential quarters are located on the northern edge of the city. And like many of the surrounding cities, Colma is a diverse unincorporated area which means it’s not part of any municipality. 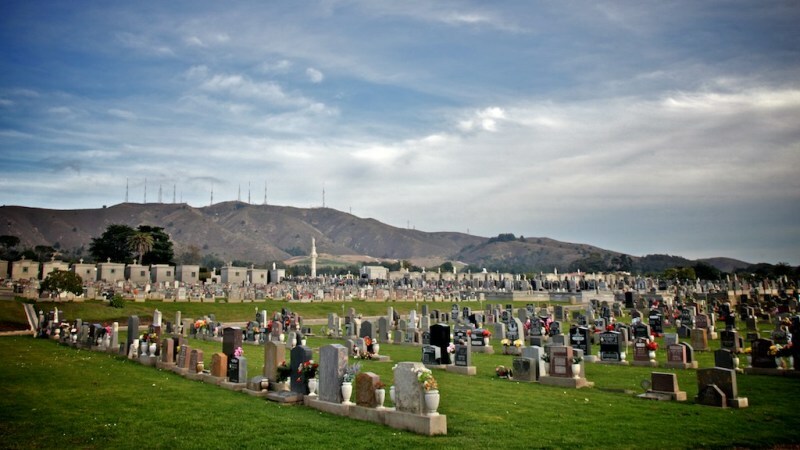 In Colma, it’s safe to say that the dead outnumber the living by over a thousand to one. 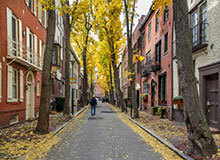 Those that reside in its limits, live within about a 4-5 square block community. The area is crippled with raggedy, rundown homes blemished with chipped paint and old cars lining the street. 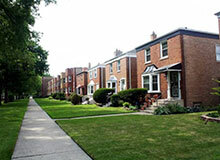 Houses are condensed into small plots of properties, with small front yards or cement driveways taking up all of its space. 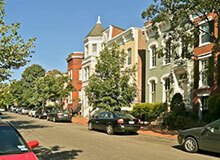 Many homes are even surrounded by ugly chain linked or wood paneled fencing. 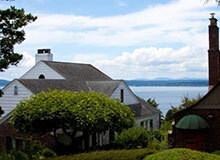 But the further north you head along the community, the better. If you’re looking for some nice apartment buildings, head towards B Street and across Highway 82. 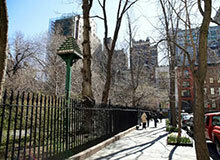 There you’ll be met with newly built and modernized apartment buildings. For most visitors, they unfortunately come here for the acres of cemeteries. These cemeteries include Greenlawn Cemetery, Cypress Lawn Memorial Park, Holy Cross Cemetery, Holy Sun Memorial Cemetery, Serbian Cemetery, Home of Peace Cemetery, Italian Cemetery and Hills of Eternity Memorial Park. Also, there are a handful of dealerships that sit along Serramonte Boulevard. 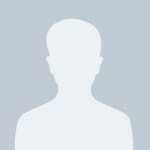 The most notable of which include Lexus, Nissan, Cadillac, Ford, Acura, Chevrolet and Volkswagen. 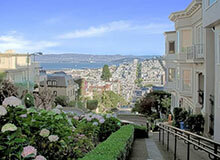 Colma has little to offer shoppers within the city. Serramonte Shopping Center, which anchors the western edge of Colma, is the city’s primary shopping hub. The area hosts a couple chain department stores (JCPenny’s, Target and Macy’s) and a handful of chain restaurants (Fresh Choice, Sizzler’s, Round Table Pizza and Panda Express). One of its most redeeming qualities is the new addition of the Colma Bart Station. The Daly City Bay Area Rapid Transit (BART) stop connects residents to the greater Bay Area, making stops along San Francisco, Oakland and many parts of the East Bay. 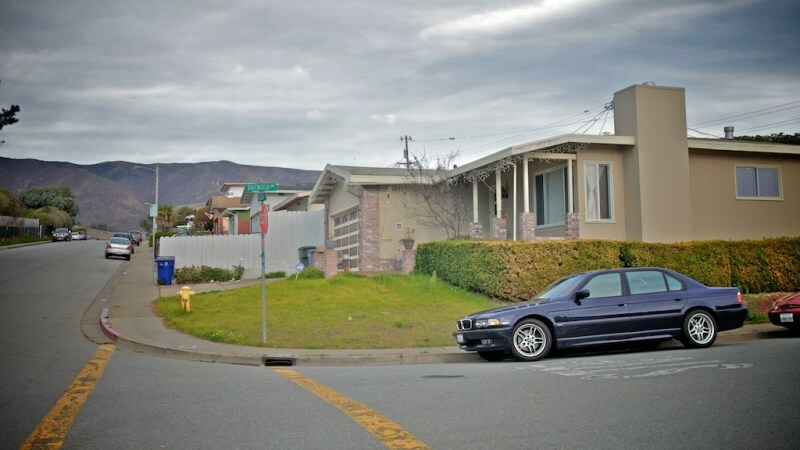 Other locals have the option of taking Interstate 280, which skits the western edge of the city and serves as the primary route for those commuting into San Francisco.